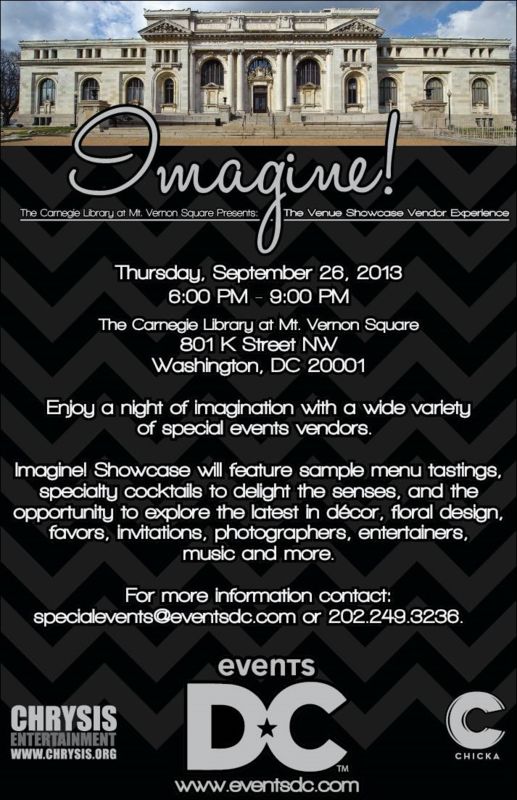 Catering by Seasons is excited to participate in the Imagine vendor showcase at Carnegie Library in DC. On Thursday, September 26th at 6pm our event managers will show off with innovative food and imaginative decor. If you have an upcoming event, please feel free to attend! This is a great opportunity to get a taste of what we do.